Looking for chic centerpiece ideas that are long on style without being hard on your bottom line? We have three secrets to creating dramatic summer and fall wedding centerpieces without wreaking havoc on your wedding budget. 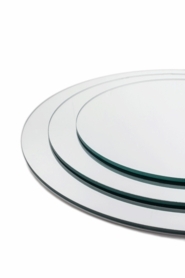 Centerpiece mirrors are one of the unsung heroes of frugal wedding Decor. Think of them as the universal budget multiplier ~ they double the visual effect of your centerpiece by reflecting it back into the room. 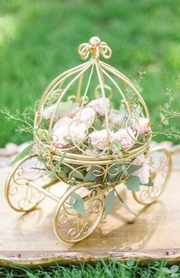 The centerpiece above shows how gorgeous and romantic a bird cage, mercury glass votives, and a single rose can be sitting atop a centerpiece mirror. 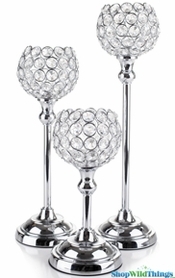 Likewise, a square centerpiece mirror with vases, sprays immersed in vases, water jelly pearls or diamond confetti, and votives creates a jaw-dropping centerpiece on a very limited budget. Showcasing mostly reusable, staple Decor items, this sort of centerpiece is a snap for most professional planners to create from their existing stock, and it"s also DIY friendly for even the less crafty brides. Live flowers are simply fabulous, and if you can afford to hire a professional florist to make your dreams a reality, well, we"d love to see the pictures. And we feature tons of those sorts of stunning images here. We love everything about live florals. But when your budget must be kept in check, substituting other stylish elements will absolutely serve your purposes. 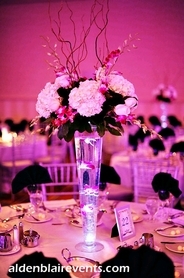 And you can still have amazing centerpieces ~ with few or no live flowers. 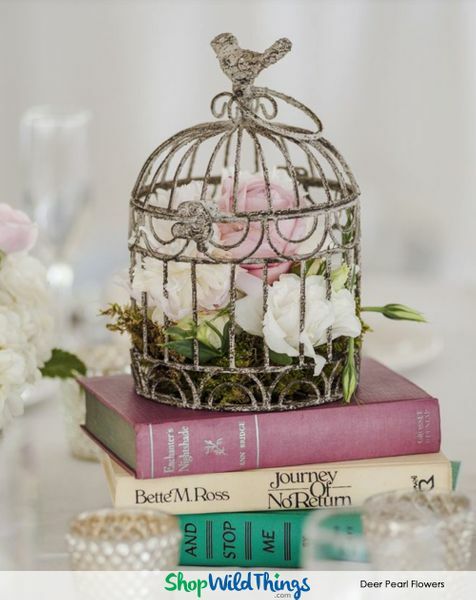 This centerpiece shows another charming bird cage, votives, and a personal element ~ books are a great one, and there"s no limit on what you can use, except your imagination. This bride has used a moss pad to showcase a few live blooms, and if you have a neighbor with a great yard, you could recreate this look with almost any sort of live blooms. 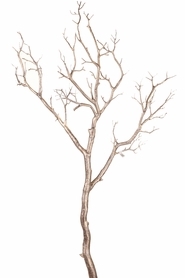 Another fabulous alternative to live blooms ~ and one that adds height and drama to spare ~ are gold branches. We love this striking, modern take on a natural centerpiece. It"s perfect when the ceiling height is tall and the venue is the great outdoors. Combine a tall vase and a generous helping of gold branches, and you have gorgeous, classic centerpieces with plenty of cash to spare. Add a chalkboard for your table number, and your reception is ready to wow your guests. Keeping the modern metallic trend going strong, and also easy on your wedding funds, the cylinder vase full of gold branches complements the strong lines of the venue while adding a pop of sparkle ~ without causing your budget to burst. 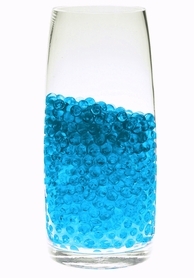 Diamond confetti in the base of the vase adds stability and reflects lots of light. Again, a stylish centerpiece on a budget that will make your inner accountant smile. Whatever your wedding theme, colors, and venue, these two simple secrets will conserve your funds without looking like you spared any expense on your centerpieces. The final secret to a Decor budget that looks decidedly un-budget bride is to splurge judiciously. When you"ve been frugal on your individual tables, add in a few wow! tables to up the overall impact of the room without throwing money at every flat surface. The cake table, the name card/table assignment table, and the head table are fabulous places to spend a little extra for maximum effect. They"ll have your guests" attention several times throughout the night, and they are SO photographed that money spent on these spaces lives on for years in images. Wondering how to make the most of the strategic splurge? Check back soon for a post showing you just how to get the most bang for your Decor buck by selecting the highest impact spaces for your extra dollars. Meanwhile, if you"re inspired to save money on centerpieces, be sure to get in touch with the friendliest customer service folks in the industry. 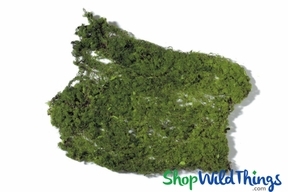 We would love to help you figure out what to order, and to get everything you need shipped right to your door in record time. You can reach our real, live customer service folks at 928-855-6075, and they can offer everything from help placing an order to detailed product advice. 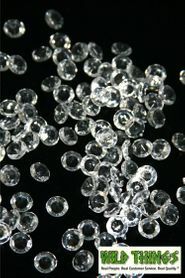 We"re ready to do what it takes to be sure that you are getting the absolute best quality for every dollar that you spend.